Now you have stepped it up a notch, no more with the hollow wood acoustics, you want to rip it like Page, burn it like Slash and be Expressive like BB King, you look for your first electric guitar, but you don’t know how, what or anything about electric guitars, well don’t worry little one who is hungry for the “rock”, I am here to show you how to choose the best electric guitar. There are several types of electric guitars which you can choose from, and all of them will reflect your playing style. Each electric guitar is build with a specific purpose, and it is up to you to figure out which is the best electric guitar for you. All I can tell you is how to pick a good one, and some hints on what these good ones can do. Electric guitars come in so many shapes and sizes, some with cutaways and some without. These cutaways are built to allow a player to reach for the highest frets all the way down the neck so that they can utilize the full range of the guitar without having to alter their finger positions. The best electric guitar that allows players to utilize the full neck would be the Gibson SG; this lets you rip as far as you want. There are also guitars with hollow insides; these are like the Gibson ES Jazz guitar. Like the name says these guitars are jazz guitars, they have a warm and low tone thanks to the cavity in the body. These are not the trucks they use to haul a dead buck off the hunting grounds; these are the things which replace the sound box and hole of an acoustic guitar in an electric one. These are magnets, they “pickup” the vibration of strings and convert them into electrical signals and transfer them trough cable to the amplifier which in turn converts it into sound (what a mouthful). The number of pickups will definitely let you know the number of tones you can select, in general there are 2 pickups, the Single pickup like the ones you see on a stratocaster and humbucker which are basically two single pickups combines, just like that of a Les Paul. The difference of sound between these pickups varies greatly, for a sharper and distinguishing tone go for single pickups and for a deeper more wide sound the humbucker would do great. The best electric guitar will have several pickups on them, humbuckers and singles together. After you decide on the design and pickups, a few extras and tools will complete the set. An electric guitar comes with more extras than Slipknot has members; these extras are foot pedals, whammy bars, drum machines, amplifiers, straps and a few other novelties. It’s important to note that to play like the rockers you adore you are going to need the tools and extras they use, a good amplifier which allows for a lot of sound tuning and tweaking will give you a good start, but after that you will want to invest into a foot pedal, the Boss DD series is by far the most popular. 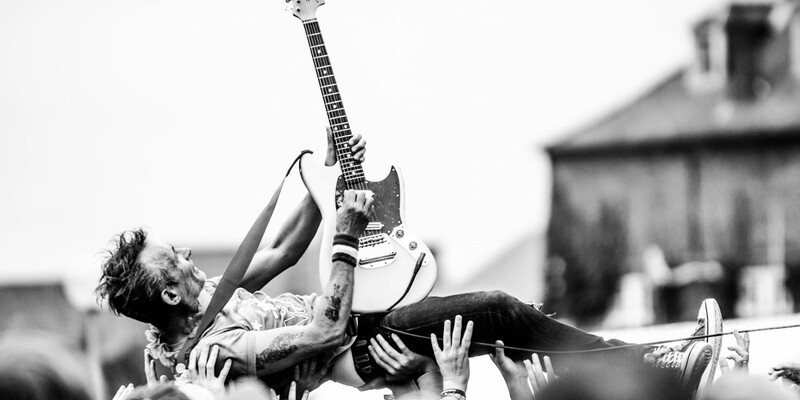 Electric guitars are gaining more and more popularity over the years. In fact, studies have rated these to be an exceptionally popular choice among teenagers, with millions of units being sold each year. If you’re joining the club, it would be helpful to know the different types and styles of electric guitars available in the market before you go ahead and buy one. When considering an electric guitar, one of the fundamentals that you may need to know is the fact that these guitars come in three basic body styles. These are solid-body, semi-hollow (also known as semi solid) and hollow body styles. Solid body – A solid body guitar lacks a hollow space within it. As the name suggests, it is fully solid. Such guitars are especially suitable for loud amplifications and additional effects. Semi hollow body – Semi hollows on the other hand, are more suited when there is a need for greater levels of acoustic sounds with loud amplifications. Hollow body – The hollow body guitar is also know as a ‘jazz’ guitar. Similar to its semi-hollow cousin, it too has the capacity to provide for greater acoustic sounds. They are also prone to deliver with high levels of amplifications. A famous type of guitar that is often classified as solid-body styled, is the string-through body guitar. The term “string-through body” is used to refer to the fact that the strings are attached through holes that are drilled into the bottom of the body. This type of guitar is known for its ability to increase the sustain of the sound. In other words, the sounds tend to remain for a longer period of time before becoming inaudible. This is especially expected with hard rock and rock and roll music, which are often defined by the increased of sustain in guitar sound. Another type of electric guitar that deserves to be noted is the chambered guitar. These guitars have holes drilled into their body. Known as a “weight relief” system, the presence of these holes are though to positively affect sound quality, resulting in a livelier twist to the sound. One of the latest models especially known for this feature is the Les Paul Supreme. Another interesting addition to the types of electric guitars is the double necked guitar, which is unique for its double neck feature. This feature allows the guitarist to play the guitar and bass guitar at once. It is also commonly used for playing the six-string and twelve string guitars together. I must warn you however, that this is strictly professional material. If you just beginning, I would suggest getting a hang on one neck first. It might be a bit confusing at first when you find so many varieties in the market. Generally, it is useful to know the three basic styles first, before deciding on the specific types you would like to purchase. Playing an electric guitar may require time and practice. It is always advisable that one begins his journey with an acoustic model first prior to trying out an electric guitar. Once you’re ready for the electric version you may consider keeping in mind a few playing tips. These are some of my suggestions. Firstly, when playing an electric guitar, you will need to get used to reading tabs. Tabs are diagrams that show the guitar strings and the positioning of the fingers in the respective frets. If you’re used to the acoustic version, you will not have much problem with reading tabs for the electric guitar. However, you may need to change the timing and rhythm accordingly for an electric guitar, as you may want to create a greater sustain feature. A particular note may have differing tab positions on an electrical guitar. It may be useful to take note of these differences, as they may result in a greater ease of play. Secondly, you must be familiar with tuning up a guitar. Regular tune checks are essential for electric guitars as they tend to get out of tune easily upon heavy playing. This is especially true if you are coupling your electric guitar with highly sensitive amplifiers, as even the slightest trace of tuned out sound is easily noticeable. Tuning may require a use of tuner. However, if you’re sensitive enough to the sounds of the electric guitar, you may try tuning it to ear. If you’re using guitar effect pedals when playing your electric guitar, you may want to consider understanding more details regarding it. The volume and certain other effects obtained by the use of the pedal can be adjusted using a foot-activated potentiometer. Buttons or sliders on the effect pedal should be of sufficient size to be used easily. Multi-effect boxes are also an interesting option as some of them will make your guitar sound like a totally different instrument. This is especially interesting if you’re into getting creative with your music. Also, if you’re seriously into playing an electric guitar, you should also consider investing on a decent amplifier. A poor amp will result in poor sounds. If possible, you should test out the amps prior to buying it. Amps with a distortion option are especially useful if you don’t plan to get an effect box. You should also begin to familiarize yourself with the sounds of an electric guitar if you’re thinking of moving up forward. Once you’re familiar with the sounds, you will be able to modify your tabs and techniques intuitively. Getting familiar to the sounds will also enable you to distinguish selected notes from the same ones being played on an acoustic version. This is especially useful for those of you who are play-by-ear experts. Whatever your decision may be, be sure to get used to an acoustic guitar first prior to starting up on an electric one. The electric guitar is generally more difficult to conquer as compared to its acoustic cousin. Start out with an acoustic version first in order to get familiar with the basics. Once familiar, you will be on your way to strumming on an electric guitar in no time. An electric guitar is an amazing instrument when it comes to creative sounds and interesting tweaks. As such knowing a few cool tricks to use on them may increase the fun and excitement, delivering interesting music to you ears. There are a variety of electric guitar trick one can learn. However, practicing them may not be as simple and may require some time. Here are some of tricks you may consider. If you’re one of those people who enjoy making that eccentric squeal with your electric guitar, you may want to consider this. Try using your pick against your strings and sliding them down. This should create a really high squealing from your guitar. If you’re using distortions, you can try placing your pick on your index finger and putting your thumb over it. Playing it this way should enable you to create a high pitched harmonic effect that is simply awesome. If you desire a screaming effect from you electric guitar, try plucking a natural harmonic on the G or B string near the third fret, with the tremolo pushed in a little. This should create a high pitched screaming sound that would totally rock your performance. The sound is also expected to be really loud and clear. You may want to take precaution with you’re amplifier volume as you may not like the sound being too loud or disruptive. This effect should also be coupled with good amplifiers. Effect boxes may further enhance this screaming tone, allowing your guitar to sound totally different. Another trick you may want to try with an electric guitar would be to use a pick slide technique. This requires you to slide the pick up and down the string when playing. The speed of sliding will create a variety of cool sounds that are truly professional. Bending is also another way to produce awesome sounds with your guitar. Bending gives similar effects as a tremolo does. Being able to produce such effects without a tremolo is considered impressive, even for an expert guitarist. If you have the option of using distortions, you may try coupling bending techniques with distortion pedal. These will produce an even greater variety of sounds, unleashing the best in your performance. Trying out cool tricks on an electric guitar is sure way to enhance creativity and simply have fun. It also enables you to improvise and recreate a music piece, personalizing it to be your own. Apart from cool tricks, enhancements such as pedals and effect boxes can also help. Hope these tips were helpful. Have fun! Stringing an electric guitar is one of the most useful things a guitarist can learn. 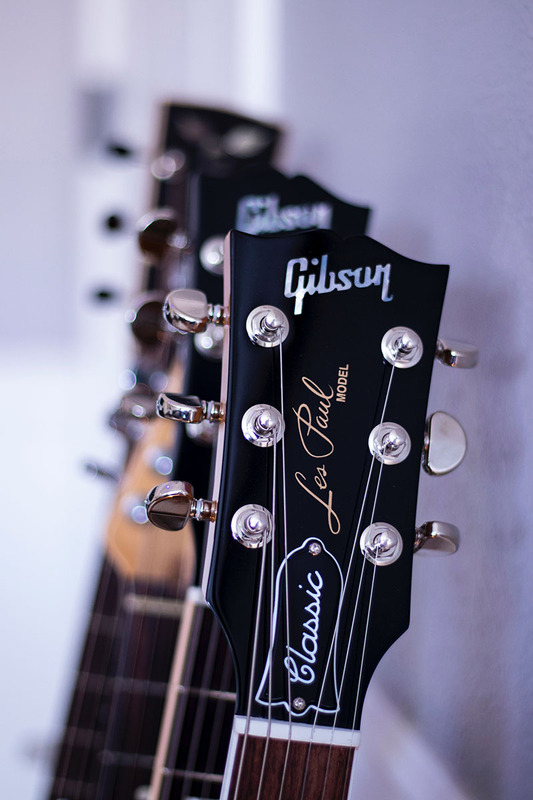 In the case where you may need to change strings, knowing how to do them yourself saves both time and money, keeping the hassle to a minimum. As such, learning this basic, fundamental art is of extreme importance to one with a passion for electric guitars. If you’re one of those aspiring guitarists, here are some outlines that may be able to get you started. Firstly, before changing the strings of your electric guitar, you should be familiar with loosening and tightening the strings. The first step of the process begins with loosening the sixth string of your guitar. When doing this, you must be sure that you’re loosening it and not tightening it instead, as this may cause the string to snap. Once the string is completely loosened, you can begin to remove it entirely by carefully unwinding it from the tuning peg. Alternatively, it may be useful to consider snipping the string with pliers when removing them. These steps can be repeated for all the strings. However, take heed not to remove all the strings at once. Doing this will result in a change of pressure at the neck that can result in damages to the quality of the instrument. Once the strings are removed, it is also advised to take some time cleaning the exposed parts of your guitar with a damp cloth, as this is the only time in which it can be done with ease. Stringing your guitar with a new set of strings can vary from instrument to instrument. Some electric guitars require you to string them through the tailpiece, just like you would with a normal acoustic guitar. For others however, you may need to string through the body. This is slightly more complicated than the first. To do this, you will first need to flip the guitar over in order to locate the right holes.Once located, you will need to slowly feed the new strings through the back, out to the bridge on the other side. This may require a lot of time and patience, as it can take a while. Whatever you do, do not rush when doing this. Rushing may lead to even more confusion resulting in a total loss of effort and productivity. Once you’re done feeding the strings through the body of the guitar from the back, you can turn over your instrument and pull the string down through the bridge. Be sure to leave extra string length when wrapping around the tuning peg. The string should be pulled one and a half inches pst the tuning peg that you’ll be feeding it into. Once fed into the tuning peg, you may slowly crimp the string so that it points out at a right angle. You can then begin tuning the tuner in a counter-clockwise direction to tighten the strings. Once the strings are settled nicely, you may start adjusting the tunes to their optimum. These are basic methods that can be used when stringing your electric guitar. Having further assistance via diagrams or expert guidance may improve your stringing skills further. 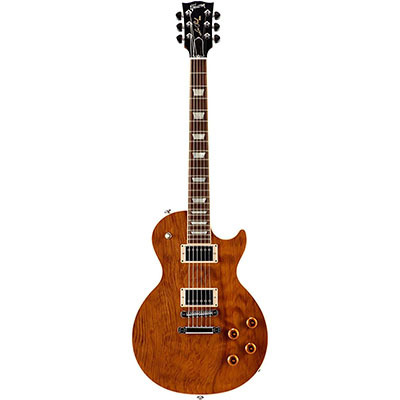 If you are into the classics and are looking for a guitar that would fare well with many lighter genres, you may want to take a look at the Gibson Les Paul Studio Electric Guitar. This piece may be a little unsuitable for heavy metal but is certainly an ideal choice when it comes to playing the blues. It is also especially commended for its great tone, equipped with a variety of sounds and excellent pickups. An especially esteemed feature of the Gibson Les Paul Studio Electric Guitar is simply the fact that it has two volume control switches. This enables detailed adjustments to the sounds, allowing for a personalized option. Not many guitars are known to have this ability. As such, just this point alone adds a great deal of value to this purchase! It is also worth noting that that this electric guitar is more on the light side when it comes to weight, giving you that extra comfort and reduced fatigue when playing it. The neck is also known to be rightly fitting, not too fat like most others are known to be. Top this up with its excellent natural wood look, and you are bound to have a great experience owning this piece. On the flip side, there have been complaints of unwelcoming buzzes coming from the ‘a’ and ‘e’ strings of this guitar prior to proper tweaking. Thus, perhaps there may be a need for thorough adjustments prior to use. The frets are also said to be quite sharp at the ends. This may result in some extent of discomfort when playing, especially if you’re a beginner. The last thing you would want is pain on your fingertips to remember the gain of your practice sessions! The shoddy quality control practiced by Gibson has also come under the highlight of unsatisfied customers. It appears that different sets of this same model sound drastically different prior to initial adjustments. Perhaps that is something Gibson could work on. Still, this is the best electric guitar in the market and I highly recommend giving the Gibson Les Paul Studio Electric Guitar a try! 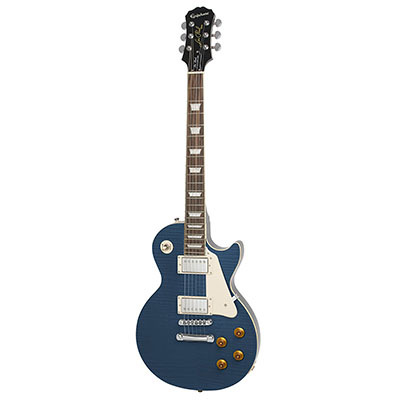 If you’re thinking of picking up the guitar as a new hobby, and need an electric guitar that is cheap and yet does not compromise on quality, the Epiphone LP Standard Les Paul Collection Electric Guitar is probably the best buy you will ever find. Esteemed for its good sound quality and great pickup, this guitar is bound to give you the feel of owning an expensive guitar- only for a lesser price! With the Epiphone LP, you will have a guitar that costs less and gives more. It is truly an impressive deal for beginners. It is also worth mentioning that this electric guitar can provide deep smooth rhythms when used with the right amplifiers and equipments. The fact that it is well made and durable means that it could probably last as long as a more expensive piece can. It is also especially good looking, adding style to your performance. On the flip side, customers have complained of the guitar going out of tune when used with its original strings. Thus, if you’re planning to play regularly, you may want to swap the strings with a new set. However, this problem is only mentioned with the use of the original string. Once the strings are changed, the guitar stays in tune for quite a long time. This piece may be an economical choice, and though it does not heavily compromise quality, professionals may not prefer it. If strumming on the guitar is somewhat a day job to you, you may want to consider something a little more expensive. Otherwise, the Epiphone LP Standard Les Paul Collection Electric Guitar is certainly an item to consider. At the risk of sounding repetitive, this guitar is certainly an awesome choice for a cheap electric guitar! If your kid is starting to show interest in music, and you’re thinking of getting him started off with the coolest electric guitar you can find, the Dean Playmate EVO Junior Solid Body Electric Guitar is definitely an option to be marked down. Ideal for kids and beginners, one of the most striking applauds for this piece is simply that it looks and sounds cool. The quality of sound obtained from this Dean Playmate EVO Junior electric guitar is certainly an encouragement, especially for kids who are starting to hate practicing. Top that up with its cool style and your kid would have something to boast about in school. The EVO Junior has also been commended for its travel friendly features. Its light body and small size makes it an ideal travel companion, be it out of town or simply next door. The sealed tuners are yet another feature of this guitar, enabling a stable tuning that reduces the need for frequent adjustments. As such, it is no doubt that this piece would certainly win favor from its buyers. Among other esteemed features of this electric guitar include its tough body and attractive shade. Its construction is also a subject of applause, as it is quite a solid piece. 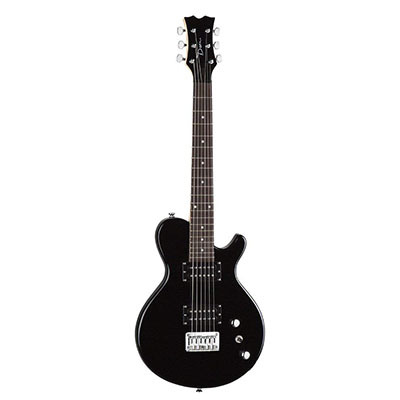 However, it must be stated that the Dean Playmate EVO Junior is no perfect electric guitar. A minus point of this piece is the fact that it requires tedious initial adjustments, which include adjustments of the bridge, string height and intonations. If you’re a beginner, doing all this by yourself could be a bit of a sweat. You may want to get clear directions which are available online. Alternatively, you could simply get help from experts. All these hard work at the start up isn’t very much encouraging, especially if your kid already has an issue with enthusiasm. There have also been complains of loose plugs and scratches due to improper packaging protocols. Thus, you may want to double check your Dean Playmate EVO Junior when it arrives!